The United Nations World Food Programme (WFP) has developed a valuable educational resource in the form of a power point presentation designed to inform schools across Canada about both global hunger and the commitment of world leaders to eradicate it (#Zero Hunger) by 2030. This resource is ideally suited to Grades 5 and 6 and would be a great resource through the upper grades and high school. It is an every-green resource and could be used throughout the year but would have particular relevance to World Food Day, October 16, 2016. This informative power point has 14 pictures and 4 embedded videos that serve to promote knowledge and understanding of global hunger from a hope-filled perspective. It could be used to build cross curricular competencies, such as problem-solving, student discussion, research, and debate. It could be incorporated into Math (statistics/ a hunger map rates worldwide hunger), Social (Citizenship/social responsibility), Health (Nutrition), Science, and Language Arts curricula. This timely resource explains why people are hungry, where the hungry live, and what students can do to help. This package includes everyone’s favorite Freerice – the educational game that donates 10 grains of rice for every correct answer! Students and teachers would also be interested to learn of the impressive role Canada, itself, has played in helping combat global hunger! Also, a live Skype interview is available to teachers to present the resource to students and answer questions about WFP’s work. WFP is the world’s largest humanitarian agency fighting hunger worldwide. In emergencies, we get food to where it is needed, saving the lives of victims of war, civil conflict and natural disasters. After the cause of an emergency has passed, we use food to help communities rebuild their shattered lives. The Canadian Teachers’ Federation, in partnership with The Canadian Fair Trade Network and Fairtrade Canada is seeking five schools to pursue and achieve Fair Trade School designation. Imagineaction is a social justice program of the Canadian Teachers’ Federation designed to facilitate teacher-student-community interaction in social action. Together with Fairtrade Canada, Imagineaction provides a monetary incentive to each school selected to educate about fair trade as part of classroom studies, and pursue a Fair Trade designation by the end of the school year. Primary, elementary and high school teachers in Canada can apply to Imagineaction. Teaching materials are available from Fairtrade Canada to guide classroom learning that will teach students about fair trade and social justice issues. An Action Guide and supporting materials will help the school towards Fair Trade designation with ideas and suggestions on activities and events to involve, challenge and engage students. As part of the Fair Trade School Program, students will understand the life of children in developing countries and how purchasing decisions, such as buying fair trade products, can create real change for people producing, and their families. Apply on Imagineaction by filling out the standard Imagineaction project application form accessible through your current login. If you don’t have a login or require additional information, please contact info@imagine-action.ca. Teaching materials for Fair Trade designation can be found here along with a pre-designation Action Guide and other documents to support your journey to Fair Trade School designation. Don’t forget to check out Fairtrade Canada’s promotional materials including posters, buttons, stickers and more to get students excited! 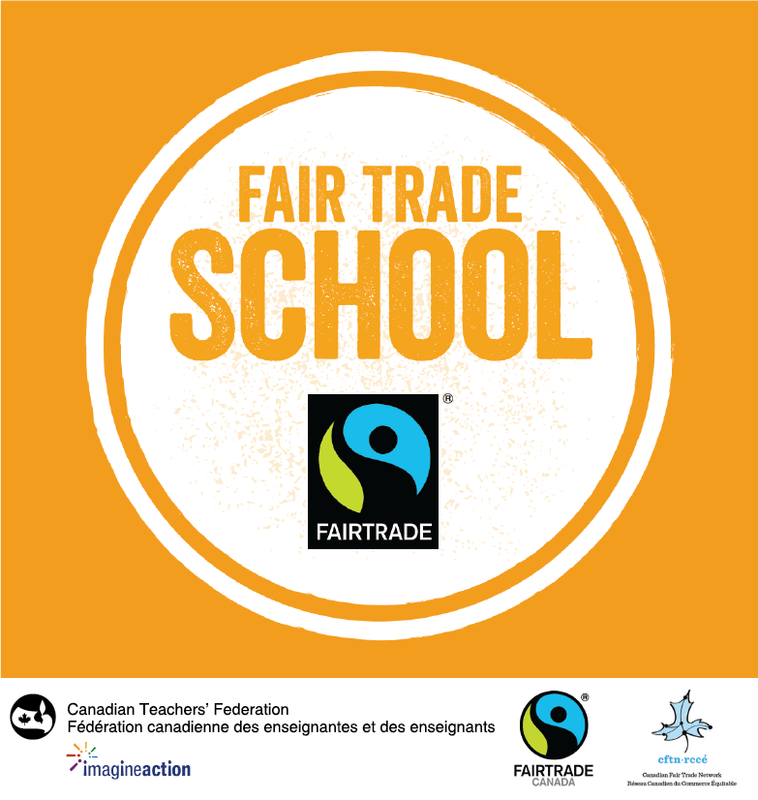 The deadline to apply to be considered one of the five eligible schools by Fairtrade Canada is October 14th, 2016. Successful applicants will be chosen by a panel representing Fairtrade Canada and the Canadian Teachers’ Federation.